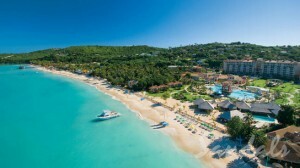 Antigua is one of those destinations that has something for holidaymakers of all interests and ages. No matter if you’re a 24-year-old adrenalin junkie, a middle-aged married couple who love gourmet fare or a pair of newlyweds, I’m quite confident that no matter what you desire from your next break, you will get it if you come here. If you do want to go on holiday to Antigua (and trust me, you really do), obviously the first thing you must do is book your flights and accommodation. Make sure you take plenty of time to search for great deals on breaks to Antigua, so you can base yourself in a high-quality resort that enables you to relax. Once you’ve done that, you can start planning what to do once you’ve arrived. I’ve put together a list of some of the things that I think are essential in experiencing everything this beautiful island has to offer. While pretty much all the islands in the Caribbean are perfect for sunbathing, I believe that Antigua is especially well-suited for sun-seekers. Not only is the country famous for having 365 different beaches (one for every day of the year), but as it receives less rainfall than other nations in the region you really have a great opportunity to develop a golden tan! Obviously, there are way too many beaches for me to go into detail about them all but there are a few that I think are amazing. Among these is the north-west stretch of Galley Bay, where you can gaze out at the crystal-clear Atlantic Ocean from your position on the shore. If you want to be a little more active, however, you’ll be glad to know the beach is also popular among surfers and joggers. Alternatively, you may wish to visit either Ffryes Bay or Darkwood Beach. These are both located on the south-west coast of Antigua and are perfect if you want somewhere that is quiet and a little less developed than some of the beaches close to the country’s biggest tourist resorts. While Antigua is most definitely a wonderful sunshine holiday destination, there is so much more to the island than just pretty beaches. Indeed, it has a fascinating history which you can find out more about by exploring the Shirley Heights military complex. Situated on top of a hill that is around 490 ft high, this fortress was built in 1781 and is named after Thomas Shirley, who was the governor of the Leeward Islands (a region that also includes Saint Kitts and Montserrat) when parts of the Caribbean were under British rule. Today, the complex is deemed one of the most important structures on the island, though if you want to see it for yourself you should be prepared to embark on a challenging hike. You’ll get to take in some of Antigua’s diverse flora and fauna on your way to the summit, but I don’t think anything will match the 360-degree panoramic views that are on offer. Make sure you bring your camera with you to capture these vistas, while the onsite restaurant is an ideal place to grab a bite to eat. My last must-do Antiguan experience is to ride along Fig Tree Drive. This is widely regarded as one of the island’s most picturesque driving routes and, by renting a car and following the path, you will have the opportunity to soak up great views of its natural landscape. Starting in Antigua’s low-lying central plain, you’ll travel through a set of ancient volcanic hills as you go south-west. Sea views, little churches, ancient sugar mills and banana trees (which are actually referred to as fig trees by the locals) are just some of the amazing things to be seen from your car window as you drive.